In case you haven’t heard, Red Dead Redemption 2‘s online beta is releasing this week. While Rockstar is saying that this will be a beta in the true sense of the term (which means that it is going to be somewhat rough and incomplete), that hasn’t stopped fans from eagerly diving into the game’s online world to see whether it lives up to not only GTA V Online‘s incredible content offerings but RDR 2‘s incredible single-player mode. 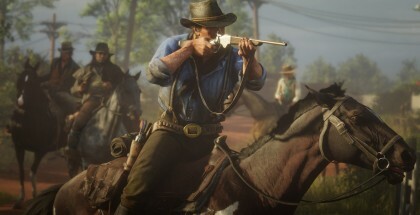 While that remains to be seen, the new information that Rockstar has recently released regarding the game’s online mode suggests that it will not only be worthy of dozens of hours of play but may indeed be even better than the base game it is built around. Based on what Rockstar has revealed so far about RDR 2‘s online mode, it seems that the earliest version of the mode is going to be remarkably similar to the game’s single-player campaign. That is to say that it will allow you to wander a vast map, set up camp with your gang, participate in a variety of side activities and missions, and generally enjoy the world as you see fit. In and of itself, there’s nothing surprising about what RDR 2‘s online mode seems to offer. Fans have speculated for months now that the mode will match descriptions very similar to the one that Rockstar has offered. What is somewhat surprising, though, is how appealing that description sounds in the wake of what we now know about RDR 2. See, RDR 2 is a game that is generally better when you’re able to take your time with it. That isn’t to say that the game’s plot isn’t appropriately emotional and epic, but rather that RDR 2‘s best moments typically occur when you’re not doing anything in particular. Whether it be hunting animals for outfits or seeking some lost treasure, RDR 2‘s single-player world is at its best when its slowly revealing the surprising depth of its smallest discoveries. Indeed, one of the “problems” with RDR 2 is that it can sometimes feel as if the game is dragging you into the completion of its story when you really just want to take some time to enjoy the…well, the everything else the game has to offer. A multiplayer mode that offers many of those activities with fewer designated distractions is not only inherently appealing but also offers the added benefit of playing the game with others. While other players are sometimes a burden in multiplayer games, we don’t imagine that will be the case in RDR 2. Why? Well, it mostly has to do with the almost absurd size of the game’s world. Depending on player count, we kind of doubt that you’ll be running into hostile gangs very often unless you choose to seek them out. 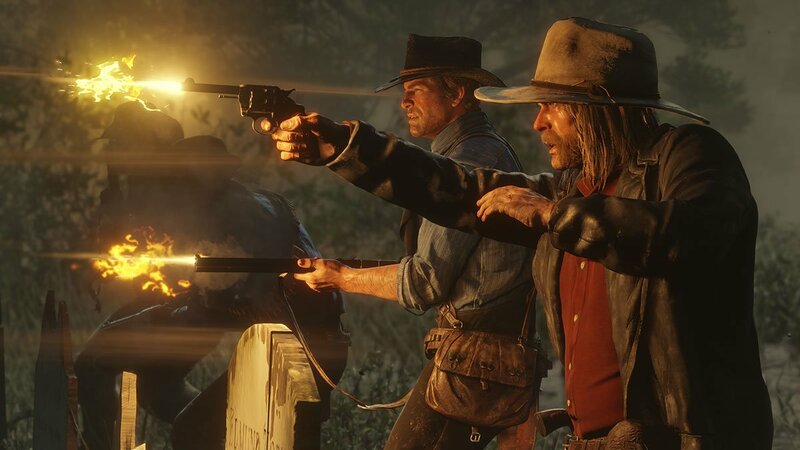 Besides, the presence of rival players will not only replicate and enhance the single-player game’s rival gang system, but you’ll ideally be teaming up with others to form your own gang and, in the process, will replicate the incredible feeling of riding into battle (or across the land) with a gang of outlaws by your side. In short, it’s starting to feel like RDR 2‘s multiplayer mode may accomplish something rather remarkable by recreating and enhancing the best that the game’s single-player has to offer. While it’s too early to know for sure whether that’s the case, it will be interesting to see if RDR 2 manages to pull off that feat that Fallout 76 fell well short of.